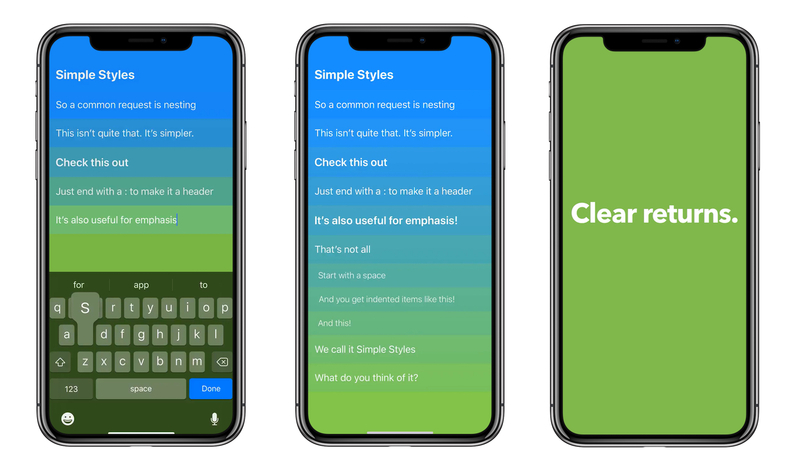 Realmac、タスク管理アプリ「Clear v2 for iOS」のSneak Peek動画を公開。 | AAPL Ch. So a common request is nesting. This isn’t quite that. It’s simpler. Check this out Just end with a : to make it header. It’s also useful for emphasis!That’s not all start with a space and you get indented items like this! and this! We call it Simple Styles What do you think of it?